This Fellowship provides eight former Bread Loaf conference attendees with a month-long working residency at The Camargo Foundation in the picturesque seaside town of Cassis, France. Fellows must be in residency at the Camargo Foundation during the entire period. 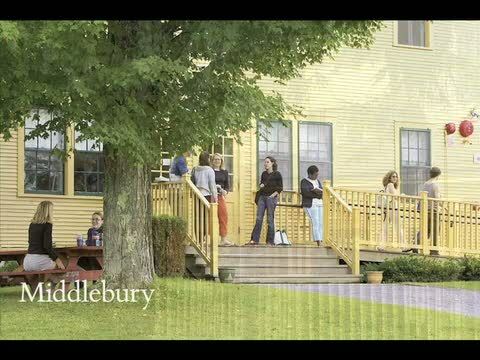 All participants who have attended a Bread Loaf Writers’ Conference program between 1995 and 2014 are eligible to apply for the 2015 residency, except for those who have attended as fellows. Bead Loaf Writers’ Conference programs include Bread Loaf Orion, Bread Loaf in Sicily, and Bread Loaf Writers’ Conference. The residency is especially intended for emerging writers who are focused on a particular project and need this time to make significant progress. At the end of the residency fellows will submit a final report describing the work they accomplished during the month at the Camargo Foundation. During the residency, fellows will have the opportunity to share their work on an informal basis and to organize activities such as readings and potluck dinners. Fellows are expected to be in residence at the Foundation for the entire period. Extended or overnight travel should be done either before or after the official residency dates. Each fellow will have a private apartment, furnished and with a full kitchen. Bed linens and towels are provided. A washer and dryer are available at a reasonable price for personal laundry. Click here to view photos of several of the apartments. Fellows should plan to bring a laptop computer as computers are not available onsite. Wi-fi is available in the Foundation library, which is on site. No pets are allowed, and no overnight guests are permitted in the apartment. There are several hotels in Cassis where visitors can stay. The Camargo Foundation, founded by artist and philanthropist Jerome Hill, is a residential center offering programming in the humanities and the arts. It offers time and space in a contemplative environment to think, create, and connect. The Foundation encourages the visionary work of scholars, artists, and thought leaders in the arts and humanities. The Foundation campus in Cassis, France is located at the entrance of a harbor and has a breathtaking view of the Mediterranean and Cap Canaille, one of the highest maritime cliffs in Europe. The buildings and grounds contain twelve apartments, a reference library, a music-conference room, lovely gardens, a Chinese Terrace, and an outdoor Greek Theater. The Katharine Bakeless Nason Endowment was funded in 1995 by the LZ Francis Foundation to support emerging writers and to commemorate Katharine Bakeless Nason, a patron of Middlebury College. The Foundation is about a 5-minute walk to the small fishing village of Cassis, which boasts 300 sunny days per year. Cassis is known for its charming harbor and its coves lined with steep, dramatic limestone cliffs. The foundation is about 30 minutes by train or bus from Marseille, which has been designated a 2013 European City of Culture. Cassis has small shops, boutiques, restaurants and services such as physicians, pharmacies, wine stores and coffee shops. On Wednesdays and Fridays, there is an outdoor market in the center of town. For more information about the setting and location of the residency program, visit The Camargo Foundation. All participants who have attended a Bread Loaf Writers’ Conference program between 1995 and 2014 are eligible to apply for the 2015 residency, except for those who have attended as fellows. Bead Loaf Writers’ Conference programs include Bread Loaf Orion, Bread Loaf in Sicily, and Bread Loaf Writers’ Conference. Acceptance is based on the strength and promise of the residency proposal and the degree to which the applicant will benefit from the fellowship. The submission period for applications is November 1 – December 15, 2014. We encourage early applications. Notification letters will be sent via e-mail in late January. A $300.00 deposit is due at the time of acceptance. This deposit will be refunded at the completion of the residency. See a link to the online application below. Writers may apply by submitting an online application and writing sample. There is a $15 application fee due at the time of submission. Bread Loaf uses the Submittable online application program. Applicants who have a Submittable account in place will be asked to login; those new to Submittable will receive a prompt to set up a free account before accessing the application. Applicants will submit a manuscript of unpublished work: up to 6,000 words of fiction or nonfiction, or up to 10 pages of poetry. Applicants should send their strongest unpublished work from the project they intend to work on during the residency. • Prose manuscripts must be double-spaced with 12 pt. font and margins of at least 1.25". The total word count should be noted at the top of the first page. Applicants may include one or more stories as long as the overall total number of pages is within the 6,000-word limit. Please include a short note to let readers know if the piece is a short story or an excerpt from a novel. Manuscripts excerpted from a longer project should include a one-page synopsis placed at the back of the piece. • Poetry manuscripts should have 12 pt. font and can be either single- or double-spaced. A poem can exceed one page, as long as the complete manuscript submission is within the ten-page limit. Please do not squeeze more than one poem to a page. • Please do not send children's or young adult literature, newspaper journalism, co-authored work, or self-help literature. Click here to read about the cancellation policy and risk waiver.